Exploring the Kaziranga Forest Trail… and then some! The best part is that we didn’t even need to leave Dublin to do it! 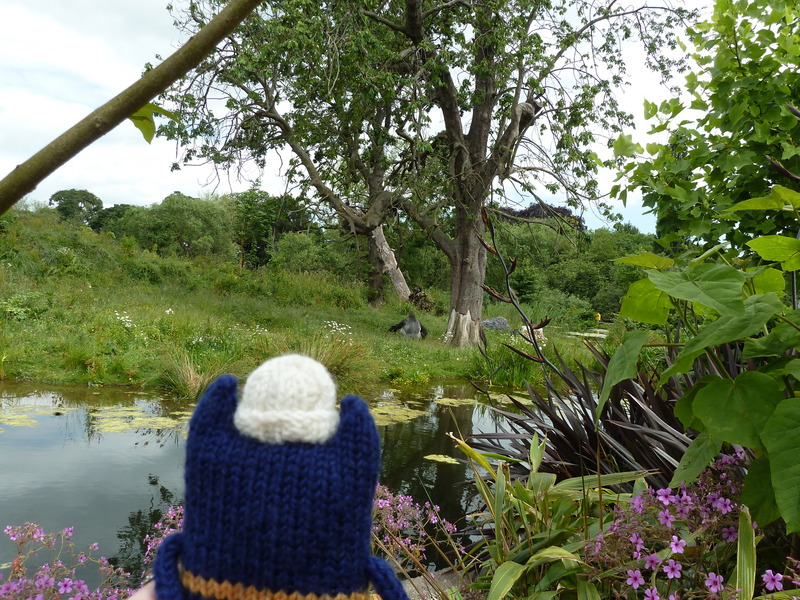 Explorer Beastie was most miffed when he found out that I haven’t shared the photos of our trip to Dublin Zoo yet, especially since he had so much fun posing with the animals. So, to keep the peace at home, here some of the highlights of our day out! One of the first places we went was the Kaziranga Forest Trail – isn’t that so much more exciting than “the elephant house”? 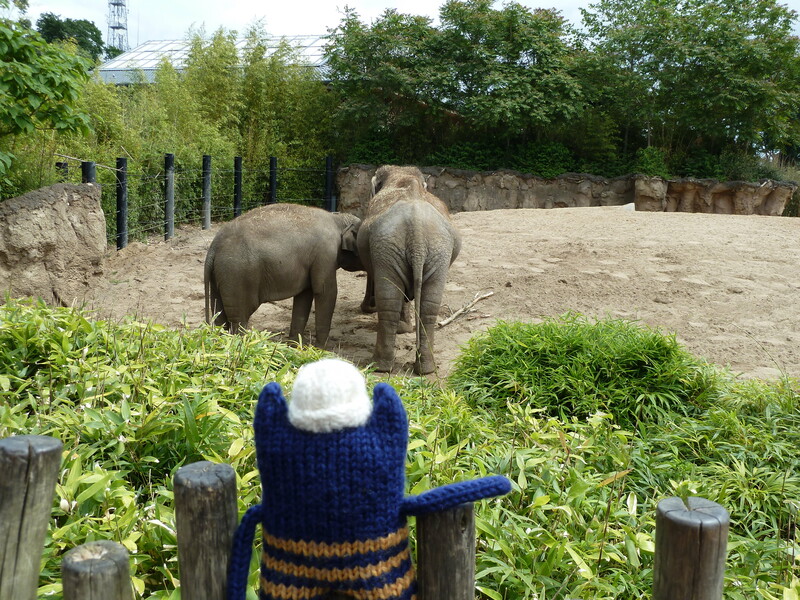 Since I was last in Dublin Zoo, they’ve built a whole new enclosure for their group of Asian elephants, which more closely resembles their natural habitat. It’s surrounded by trees (that covers the “Forest Trail” element, then) and there are pools of water for them to swim in as well! 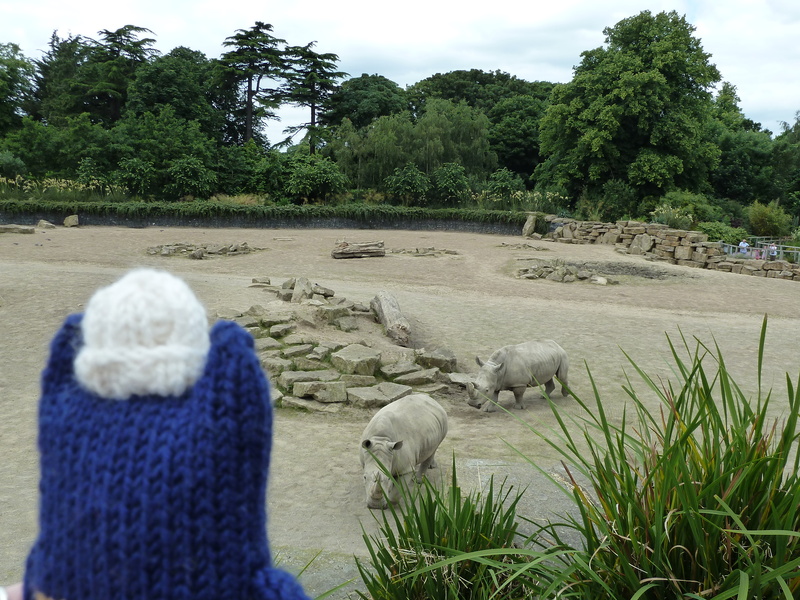 Our next port of call was the African Plains, where Explorer Beastie put his climbing skills to good use to get a proper look at the giraffes, rhinos and gorillas! 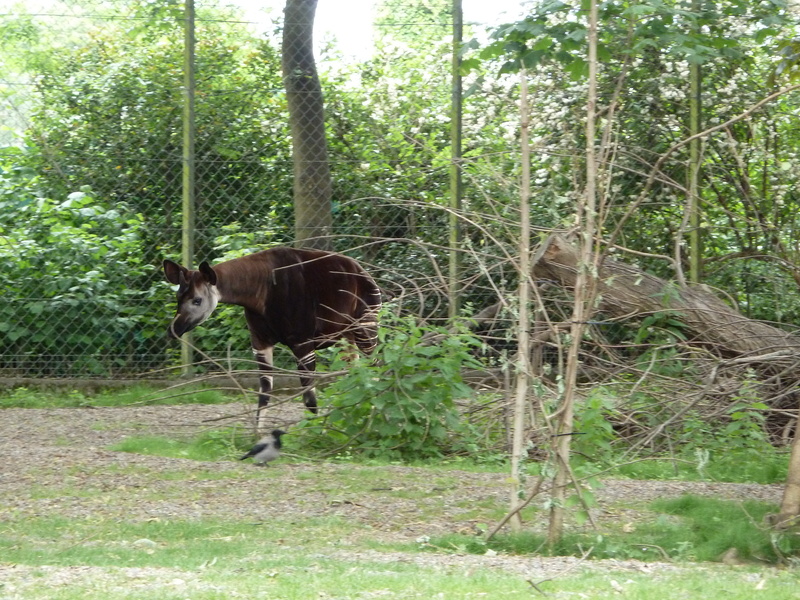 But the highlight of our visit was meeting the newest addition to the Dublin Zoo family… an okapi! These incredibly pretty creatures live in the dense forests of the Democratic Republic of the Congo, and they’re related to giraffes. It was a real treat to be able to see one of these beautiful, graceful animals so close to home! … And we figured it was time to head home for a nap! But we’ll be back for more Beastie adventures soon! Thank you! I still get a kick every time I finish a new one. Enjoy! I know! I thought it would be better to save them for a special occasion, but it seems Beastie knows best. Glad you enjoyed them! Hi, just visiting your blog first time… WOW, you’re so talented & your creatures are sooooo cute! Thank you so much! I hope to have some more new Beasties to introduce to you soon!